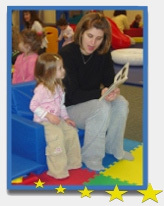 Toddlearn Parent Child Education franchise business opportunity. Free Toddlearn Parent Child Education business franchise information. 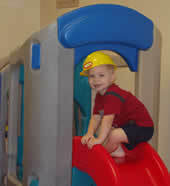 We are the most unique program in the children's industry as we combine preschool, gym, play and parent networking components all into one program. The best part about it is that we are teaching parents how to play and interact with their children in a meaningful way while providing wonderful learning and bonding experiences." Be a part of something Truly Rewarding! What could be better than teaching parents and children how to learn through play together? 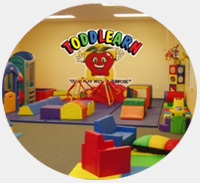 As a Toddlearn Franchise owner you are getting the best of several worlds. You are getting to be in business for yourself, but not by yourself. You are getting paid to play and have fun on a daily basis and you are also providing a quality learning experience for parents and their children that is unlike any they will ever find! We are truly the first of our kind! If you have a love of children, passion to be part of an outstanding Parent/Child franchise opportunity and have the desire to work hard for the rewards, We are looking for you! Toddlearn provides you with everything you need to reach your full potential with a modern, up to date marketing program, proven lesson plans, a full training program including observation and teaching of actual Toddlearn classes in a dynamic Toddlearn school similar to your own. You will be assigned your own POC (Person of Contact) who will assist you with everything from pre-opening procedures to any question you ever have during your life as a Toddlearn owner. To learn more about the Toddlearn Parent Child Education franchise opportunity, simply complete the form below.